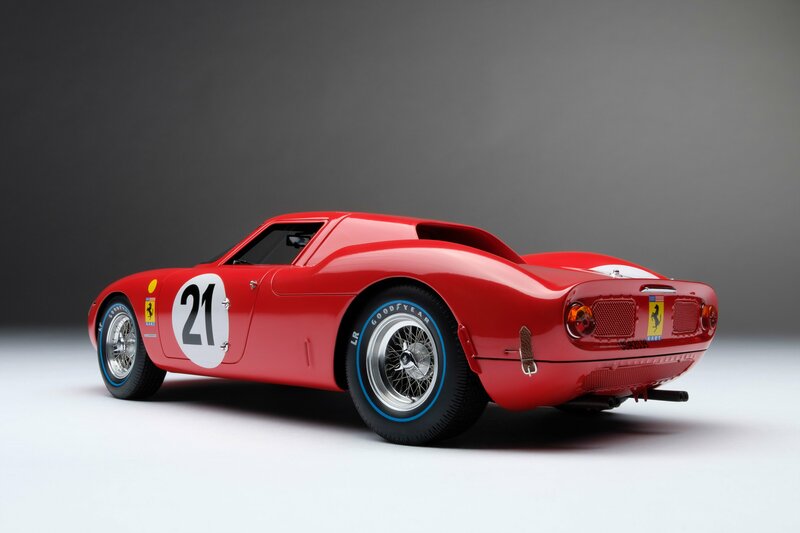 Amalgam Ferrari 250LM 1:18 scale. 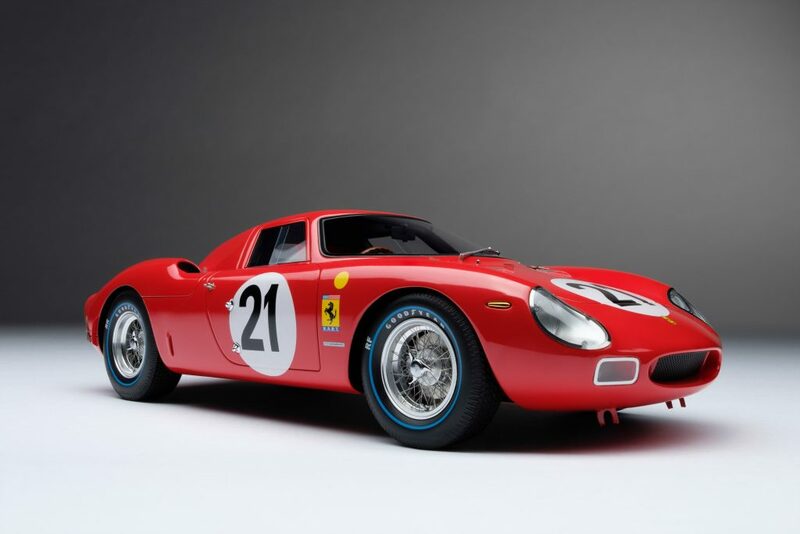 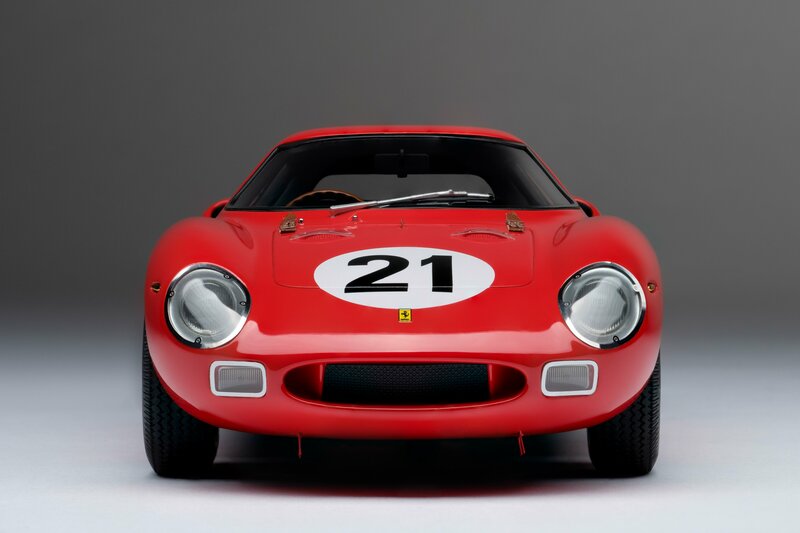 the Ferrari 250 LM The #21 250LM won Le Mans in 1965. 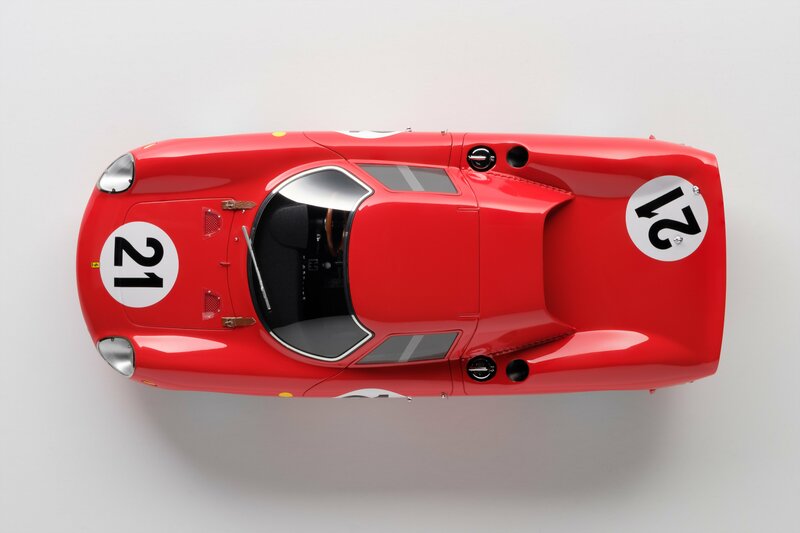 Driven by Jochen Rindt and Masten Gregory and entered by the North America Racing Team (NART). 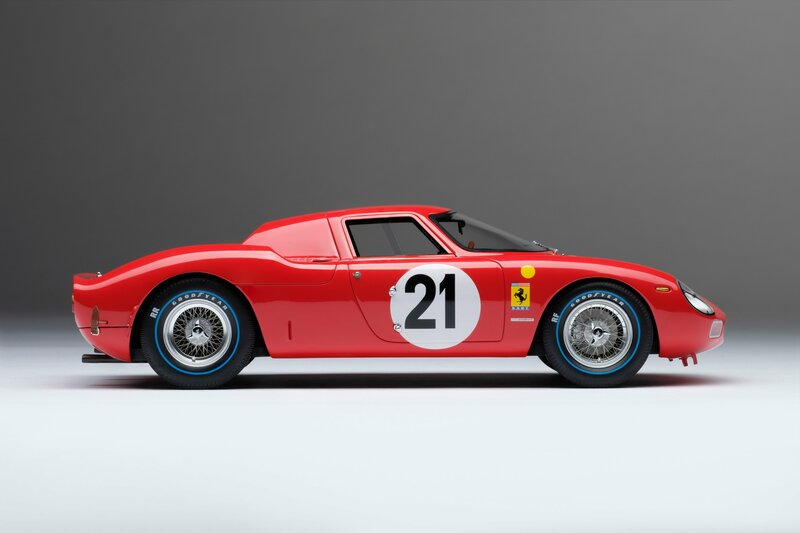 It was to be Ferrari’s last win at Le Mans. 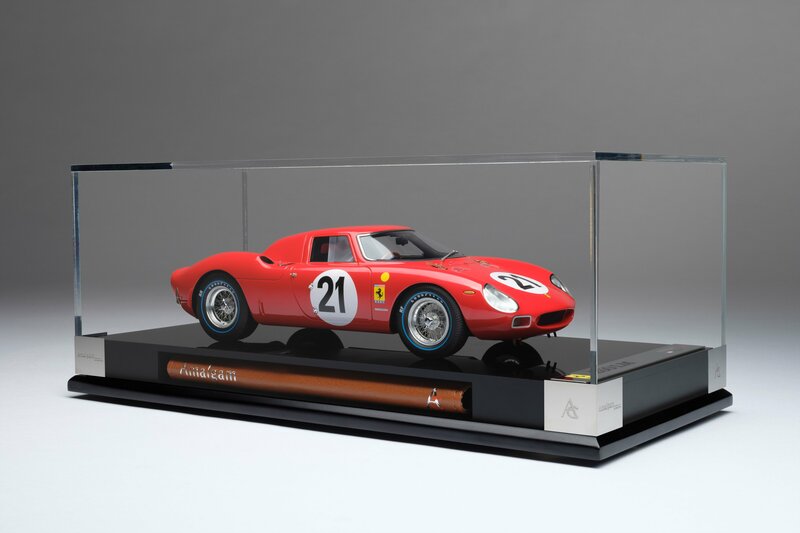 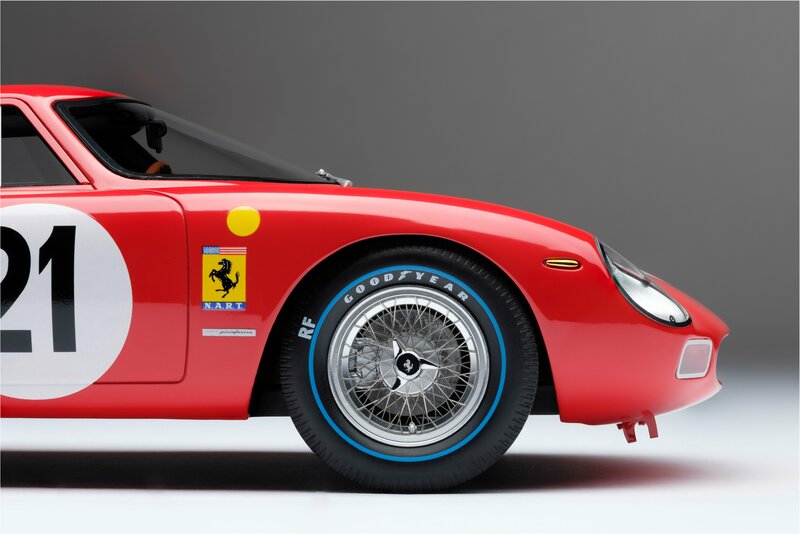 A brand new series of classic Le Mans Ferrari models from Amalgam in 1:18 scale. 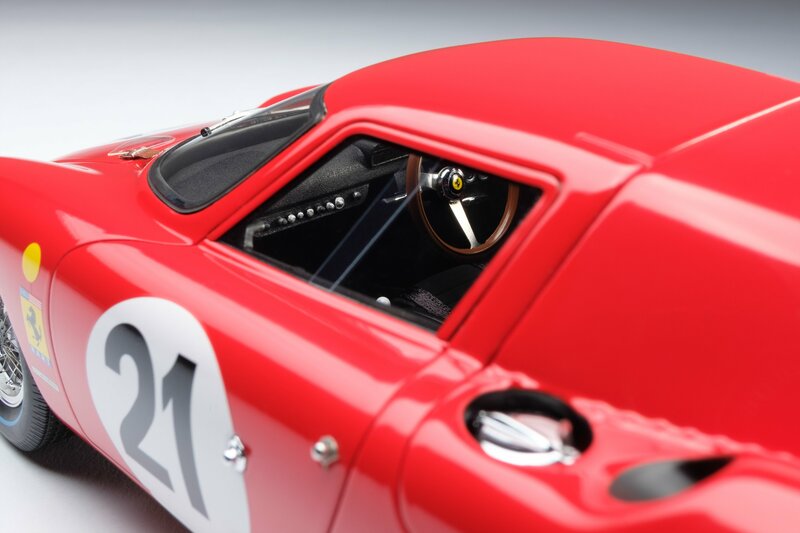 The model is a ‘kerbside’ model with beautiful paint finish and a totally accurate recreation of this stunning car. 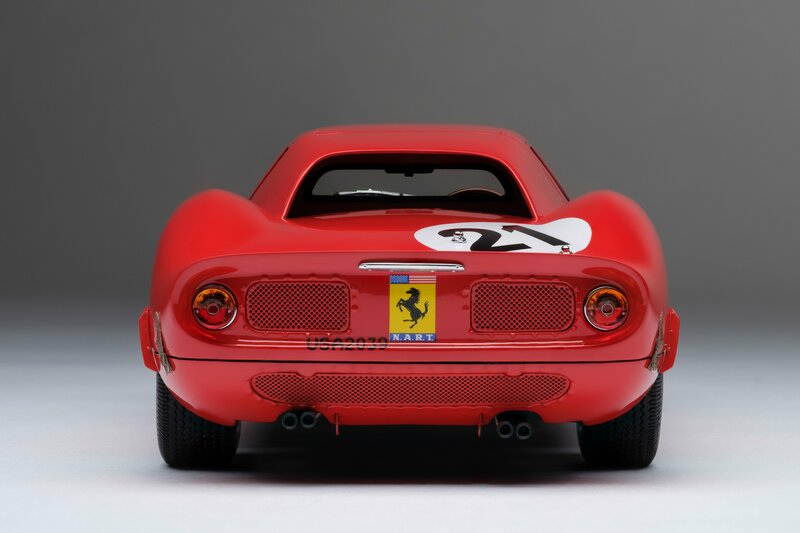 This is the second in the series. 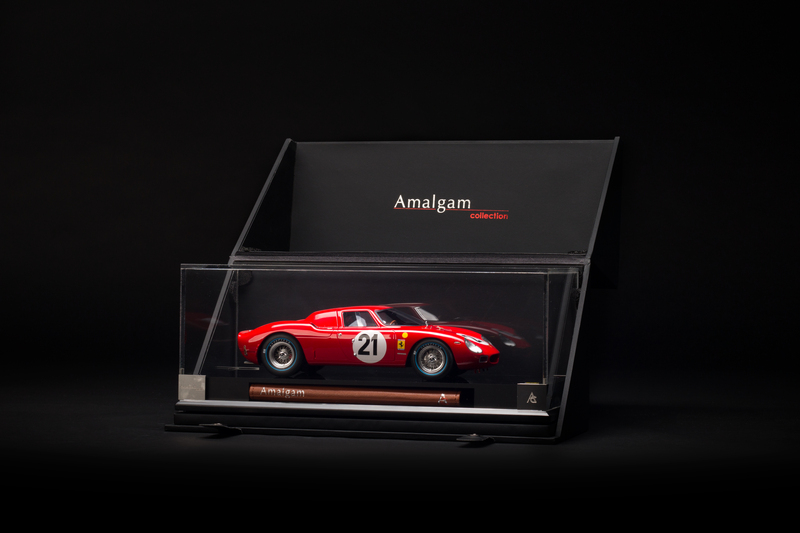 Amalgam’s 1:18 models are the finest quality and accurately detailed ‘kerbside’ models available anywhere in the world. 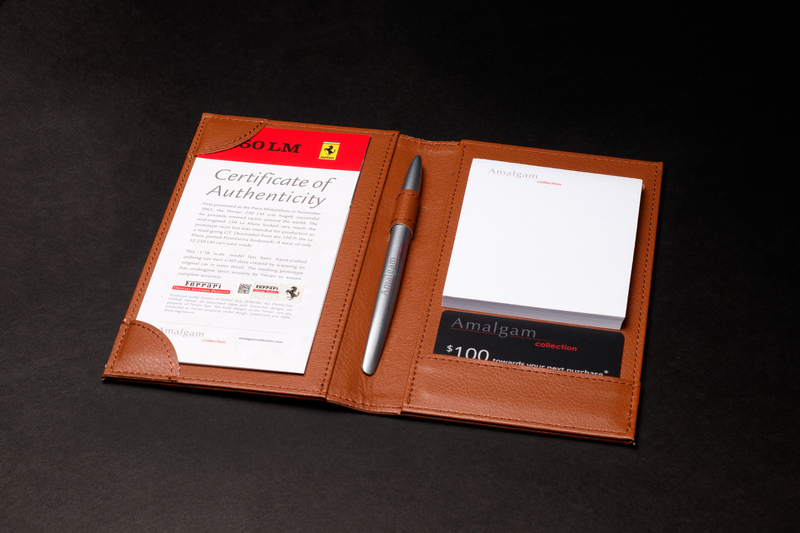 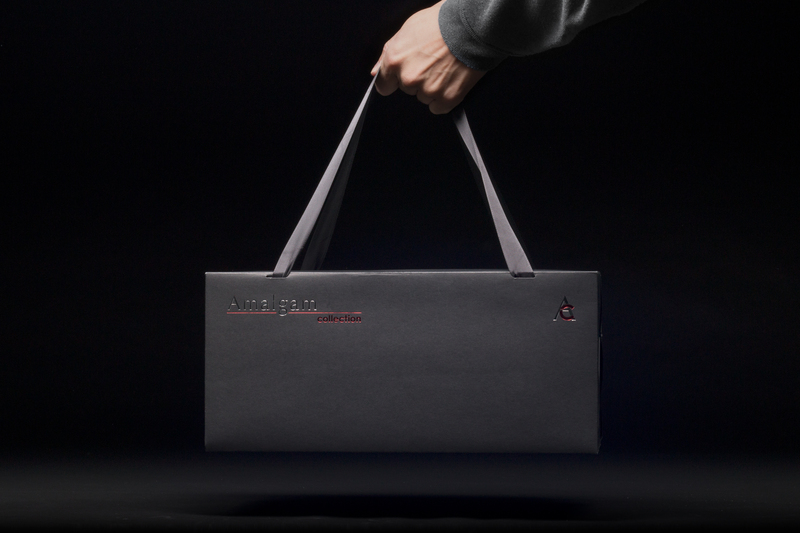 The model sits on a black plinth with a plaque detailing the model and a perspex cover containing a leather bound folder with pen, notepad and model details.